The Kansas Conference of the AAUP is a collection of individual chapters from a variety of institutions of higher education from around the state of Kansas. All of the officers are volunteers with many being trained at the national level in University Governance. The Conference regularly handles issues regarding denial of due process, governance, tenure adjudication and dismissal. With more than 400 AAUP members state-wide, the Conference is the only state-wide body representing all faculty members. As such the Conference has in the past filed amicus briefs which the courts have refered to for guidance when making decisions. The Conference spokespersons regularly testify at the Statehouse and other venues of great importance to university-level educators across the state. Professor El-Hodiri is a Professor of Economics at the University of Kansas and received his undergraduate education in Business and economics (major) in Cairo University 1954-1958, he continued his graduate education in mathematics and economics in Russia (1958-1959) and US 1958-1966 completing Ph.D. in Economics and Mathematical Statistics, MA in Economics, and MA in Mathematics, all from the University of Minnesota. 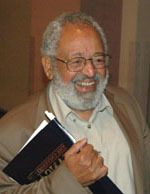 He has published over 30 articles in the top journals in economics and mathematics, 15 book reviews, poems in Arabic and English, and 5 books on economics and mathematics. He has also served as the Conference Committee A Chair, Conference President and Chapter President. 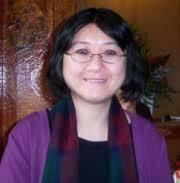 Dr. Doris T. Chang is Associate Professor of Women's Studies at Wichita State University. She received her Ph.D. in women's history and East Asian history from the Ohio State University in 2002. Her areas of expertise include Chinese socio-intellectual history, Taiwan studies, cross-cultural feminism, and the comparative history of women's movements in the Asian-Pacific Region and the United States. In 2009, Dr. Chang's book titled Women's Movements in Twentieth-Century Taiwan, was published by the University of Illinois Press. She presents paper regularly in national and international conferences and is the author of several refereed articles. 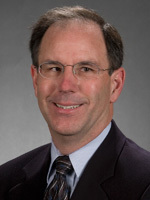 Dr. Catlett is a tenured Assistant Professor of Economics at Emporia State University. He teaches a variety of classes including: Basic Economics, Principles of Economics I & II, Honors Pro-seminar, Globalization, Intermediate Microeconomics, Intermediate Macroeconomics, Introductory Econometrics, Labor Problems, Money & Banking, Current Economic Issues, Introductory Econometrics, Economics Capstone, History of Economic Thought, Urban Regional Economics, Capstone, Globalization, Econometrics, Economic Education, Seminar in Economic Analysis, Managerial Economics, Civic Engagement. He has served as both Conference President and ESU Chapter President of the AAUP. Dr. Barrett-Gonzalez is a Professor of Aerospace Engineering at the University of Kansas. He teaches the capstone design sequence along with graduate courses in Adaptive Aerostructures, Aircraft Design and Helicopter Aerodynamics. As the author of more than 300 professional publications, his research specializations include adaptive structures, aircraft flight control with adaptive aerostructures and design of unique and convertible missiles, munitions and UAVs. He has served as both Conference President and KU Chapter President of the AAUP.